CLICK HERE to access a downloadable table of all available scholarships that you can sort to find information about each scholarship quickly and easily. Students with open applications are encouraged to check email regularly for updates. Check back in 2020 to apply! Review all CRCF Scholarship Funds to determine eligibilty. Create an account in the scholarship portal and start your application. Review the list of scholarships, decide which criteria you meet and apply for the appropriate scholarships. Show how you meet the criteria for those awards in your goal statement and any other scholarship-specific portions of the application. If any of the awards list financial need as a factor, be sure to include your FAFSA information as requested in the application. Without your Expected Family Contribution (EFC) number, you will not be considered for those awards. Your application is the picture you paint of yourself and the only way the scholarship reviewers know if you are deserving, so your application needs to reflect your best portrait. Be sure to list your academic, extracurricular and volunteer activities and awards. It isn’t considered bragging if you’re being honest about your achievements! Choose your references wisely. Scholarship reviewers rely on your recommendation letters to learn how others perceive you. Ask for recommendations from people who know you well enough to write a letter that helps you stand out. Proofread your application. Better yet, ask someone else to proof it as well. Spelling and grammar matter, and they reflect the amount of effort you put into your application. Check your email regularly. If a part of your application is incomplete, for instance if a reference letter hasn’t been submitted, CRCF will send you an email notification. As the applicant, it is up to you to make sure all the required pieces for your application make it to the Foundation by the deadline. The scholarship committee does not review incomplete applications and does not consider them for awards. Submit your application by the deadline. The scholarship committee does not review late applications and does not consider them for awards. Leadership Cattaraugus Scholarship – Please note that this form is ONLY to be considered for scholarship funds. 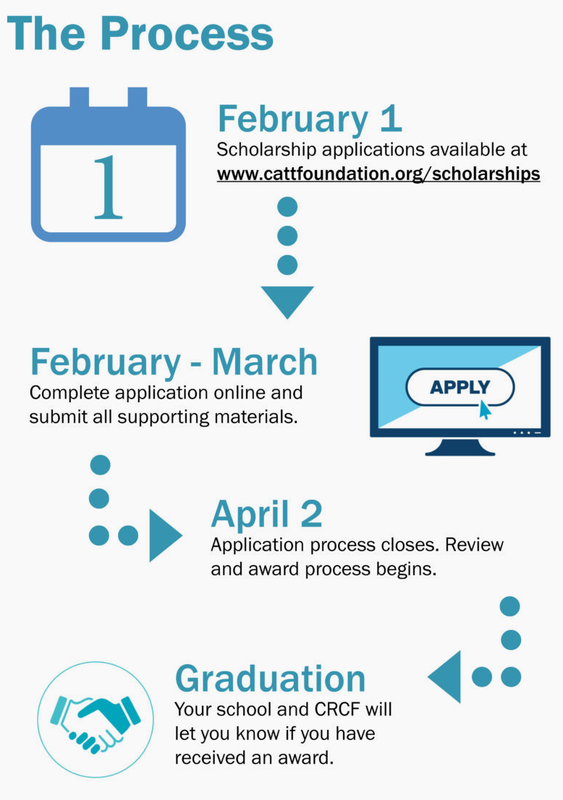 Applications for the Leadership Cattaraugus Class of 2019 are available at leadershipcattaraugus.org and here: Leadership Cattaraugus Scholarship Application Email completed application to [email protected] by December 31. Students can save their applications and make changes and additions before submitting.